Beacon Falls, CT – June 20, 2013 – Lavatec Laundry Technology, Inc. (LLT) announced today that President Mark Thrasher has significantly expanded his ownership to 49 percent of parent Lavatec Laundry Technology GmbH, headquartered in Heilbronn, Germany. The news was announced in Lavatec’s booth (3221) at the Clean Show, being held now through June 22 at the Morial Convention Center in New Orleans. Thrasher’s move strengthens his partnership with CEO and Managing Partner Wolf-Peter Graeser, broadens his involvement as co-manager in global operations, and reflects both parties’ confidence and commitment to further asserting LLT leadership in the industrial and commercial laundry marketplace. LLT now has offices in Germany, America, France, Thailand and Great Britain, with further additions planned. Since becoming President of U.S. and North American operations in July 2010, Thrasher, a 20-year professional with the company, has been a driving force behind stepped-up product development and line expansion efforts. He has helped reinvigorate the LLT distributor network and fortified the company’s customer service and aftermarket capabilities. Reflecting LLT’s focus on daily customer system-wide laundry needs, he headed up an extensive customer learning initiative to more closely connect LLT with user issues and to place the firm in the forefront as a provider of practical, profitable solutions. Restructuring of this partnership between Wolf-Peter Graeser and Mark Thrasher solidifies the developing global activities of the LLT organization, and will provide enhanced collaboration between the manufacturing operation in Heilbronn, Germany and LLT, Inc., in Beacon Falls, Connecticut. 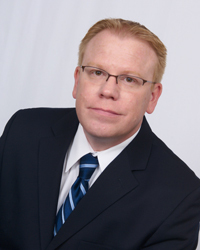 Mark Thrasher, co-owner of Lavatec Laundry Technology GmbH and President of Lavatec Laundry Technology, Inc.